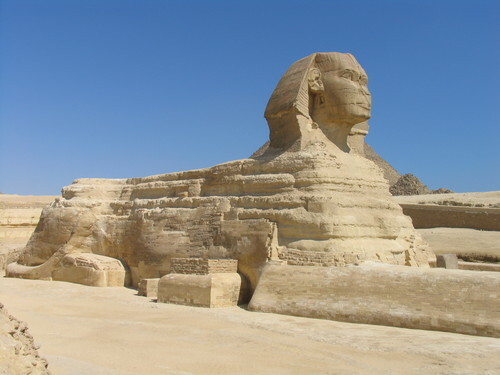 With a human face and the body of a lion, the Great Sphinx of Giza lies at the west bank of the Nile. It is a limestone statue, more then 4500 years old, and the oldest known man-made monumental sculpture on the planet. A lot of basic information about the statue is unknown. It is uncertain who built it, why it was built, and who the model of the face was. The traditional view is that it was built by the pharaoh Khafra around 2500 BC. However, there are also many other more or less plausible theories. This is leading to several legends about the statue. Another feature of the statue giving birth to legends is the missing nose. Karnak is an open air museum near the city of Luxor. On the site one can find a varity of different temples, chapels and other kind of structural ruins. 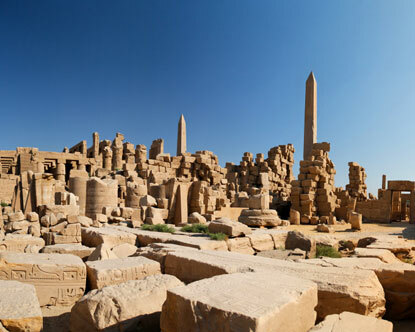 The different buildings on the site has been raised by around thirty different pharaohs during a time span of 2000 years. This has lead to a massive diversity of buildings and made it the largest ancient religious area in the world. The complex is divided into four major parts, which of only one is open to the public. One of the famous places one can visit is the Hypostyle Hall. Only the 134 massive columns of the hall are still standing, but they are still an impressing site. They are arranged in sixteen rows, with the tallest being 21 metres tall, and are more then three metres in diameter. 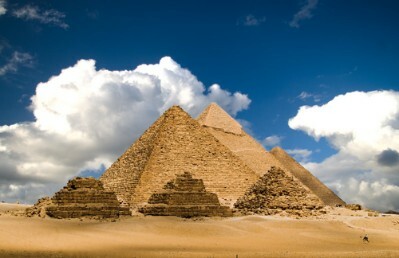 There are three pyramids in Giza. The Great Pyramid of Giza, also known as the Pyramid of Khufu or the Pyramid of Cheops, is the one in the center and the most famous. It is both older and larger the others, and also the oldest of the Seven Wonders of the Ancient World. It is more then 4 500 years old, presumably as a tomb for the Egyptian Pharaoh Khufu. At a height of 146,5 metres it was the tallest man made structure for almost 4 millennia. The pyramid complex includes the two smaller pyramids of Khafre and Menkaure and some other structures. 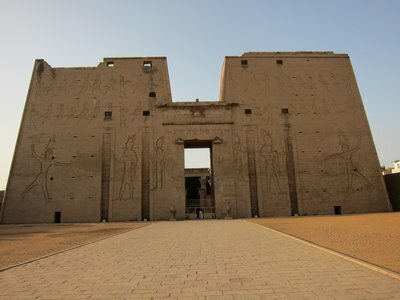 The Temple of Edfu, also known as the Temple of Horas, lies in the city of Edfu, between Aswan and Luxor.It is one of the best preserved temples along the Nile. It was built for Horas after the fall of Alexander the Great, under the Greco-Roman periode, between 237 and 57 BC. 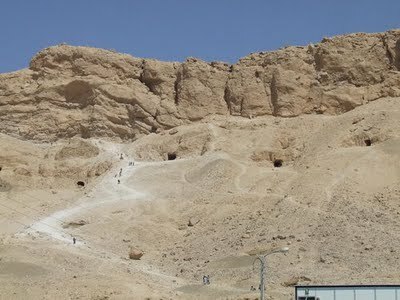 The Valley of the Kings is an enormous burial ground. Different pharaos and nobels were buried there over a period of about 500 years (1500 BC - 1000 BC). Over the years, it has been drastically deranged by grave robbers. It still has great archeological significanse. To to restorations and excavations the graves are often closed to the public. The 1997 Luxor Massacre also contributed to make tourists a bit more reluctant to visit.